“The leader of the [zealously Protestant Christian] DUP has accepted an invitation to attend an Orange Order parade in Fife later this month. 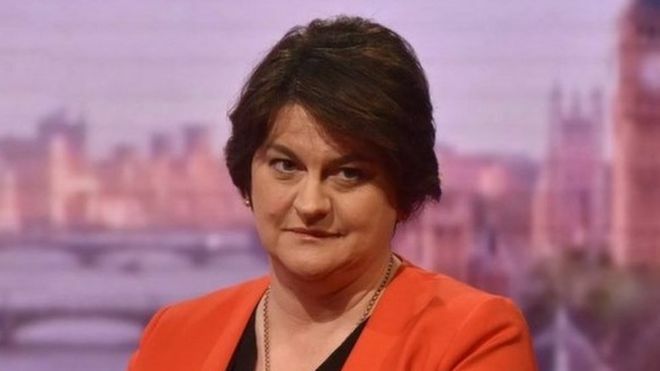 The Grand Orange Lodge of Scotland has confirmed Arlene Foster will attend the Boyne march in Cowdenbeath, where she will be the guest speaker. She was invited by the East of Scotland Lodges, who organise the march. Ms Foster was Northern Ireland’s first minister until January 2017 when the Stormont power-sharing agreement collapsed. The Grand Orange Lodge said attendance by Northern Ireland politicians at Scottish parades was not unusual, with former first minister and DUP leader Peter Robinson having done so in the past. The parade on 30 June is one of the biggest in Scotland and involves lodges from Fife, Edinburgh, the Lothians and elsewhere in the central belt. A DUP spokesman said Ms Foster would use the event to say that the UK needed to build a “shared society” where “people feel at home and where they feel comfortable living and working regardless of their background”. The spokesman said she would also stress that “there is no place in 2018 for sectarianism or prejudice against any section of our community – that includes the Orange Order”. An SNP source said the party was “struggling to believe that Arlene Foster believes that this is a sensible idea”. 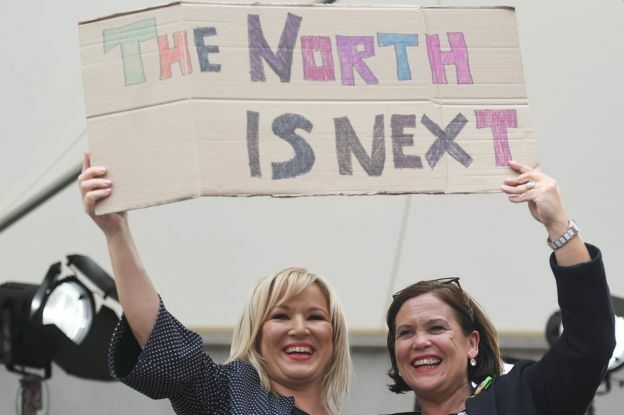 The DUP (Democratic Unionist Party), whose 10 MPs are propping up Theresa May’s minority UK government, has recently been in the spotlight over the issue of abortion, after Ireland voted overwhelmingly to overturn a ban on terminations. There have been calls for the UK government to hold a similar referendum in Northern Ireland – but Ms Foster and the DUP oppose the move, saying it should be for the devolved Stormont assembly to decide whether to have a referendum. The DUP has deep religious roots and has always said that any relaxation in Northern Ireland’s abortion laws could bring about abortion on demand. It has many supporters who feel the same.